W3mag.com: Chameleon is one of the best! It is a script that manages incorporating some very powerful functions and also be very interesting to stir the curiosity of users. Chameleon is a professional script, but also understands the idea of combining entertainment and fun with attractive colors and beautiful design. Re: W3mag.com: Chameleon is one of the best! 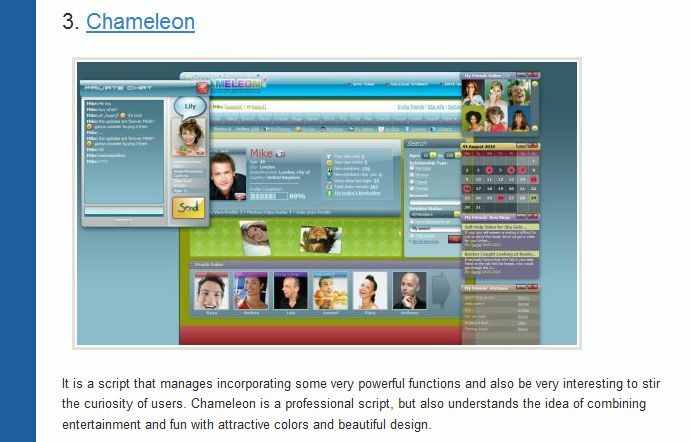 We are now working on Chameleon 2. Will be available soon and will have new templates. You always can order a unique design as well. Bumping this up. I really think that Chameleon is under rated. All it needs is some marketing and the rest will fall into place.